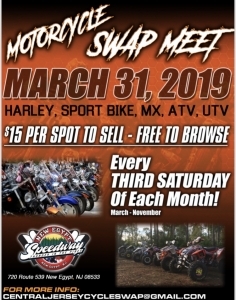 Event Description Starting March 31 and running every third Sunday of every month til November at New Egypt Speedway, easy to get to, right down the road from Great Adventure. Follow us on Instagram for updates. Get in line early to gain vendor access - $15.00 per spot. See you soon!